Trudeau and other leaders show how little they know, and how little they assume the public knows, by calling it a “carbon tax” on “carbon emissions.” But CO2 is a gas, the trace atmospheric gas that makes life on Earth possible. Carbon is a solid, and carbon-based fuels are solid (coal), liquid (oil), or gaseous (natural gas). By constantly railing about “carbon emissions,” Trudeau, Obama, and others encourage people to think of carbon dioxide as something “dirty,” like soot, which really is carbon. Calling CO2 by its proper name would help the public remember that it is actually an invisible, odorless gas essential to plant photosynthesis. Like many of her political peers, McKenna dismisses credentialed Ph.D. scientists who disagree with her approach, labeling them “deniers.” She does not seem to understand that questioning scientific hypotheses, even scientific theories, is what all scientists should do, if true science is to advance. After spending five days at the UN with Maurice Strong, the first executive director of UNEP, Hamilton Spectator investigative reporter Elaine Dewar concluded that the overarching objective of the IPCC was political, not scientific. “Strong was using the UN as a platform to sell a global environment crisis and the global governance agenda,” she wrote. More than any other event, that single hearing before the Energy and Natural Resources Committee publicly initiated the climate scare, the biggest deception in history. It created an unholy alliance between a bureaucrat and a politician, which was bolstered by the UN and the popular press – leading to the hoax being accepted in governments, industry boardrooms, schools, and churches all across the world. President Trump must now end America’s participation in the fake science and fake news of man-made global warming. To do this, he must withdraw the U.S. from further involvement with all UN global warming programs, especially the IPCC, as well as the agency that now directs it – the United Nations Framework Convention on Climate Change. He should also launch a “Red Team” exercise that lets non-alarmist scientists examine climate cataclysm claims and the purported evidence for them. Dr. Tim Ball is an environmental consultant and former climatology professor at the University of Winnipeg in Manitoba. “[Canadian Environment Minister Catherine McKenna] either does not know that CO2 is not a pollutant, or she is deliberately misleading people”. >> Untrue statement. It is Ball and Harris that are deliberately misleading people. Schedule 1 of the Canadian Environmental Protection Act (“an Act respecting pollution prevention and the protection of the environment and human health in order to contribute to sustainable development”) includes substances that are considered to be toxic as defined in Section 64 of the Act. CO2 was added to the Schedule in 2005.and gives the federal government the ability to require actions to control CO2 under the Act. The reporting on releases of CO2 to the atmosphere is regulated under section 46 and is required from large industrial and commercial facilities that meet a certain threshold for their combined emissions. So if I go visit Canada, I’m going to be emitting the toxic substance CO2? Do I need a permit first or does Canada expect me to die? And what would happen to life on earth if we eliminated all of the toxic substance CO2? Yes. I think there’s most likely no way to get around that. You’ll also be emitting the toxic substance H₂O. 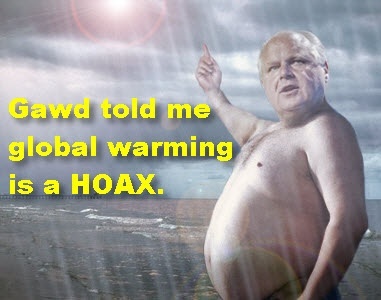 How might that change the fact that Mr. Ball and Mr. Harris are paid to lie about the dangerous nature of fossil fuel? 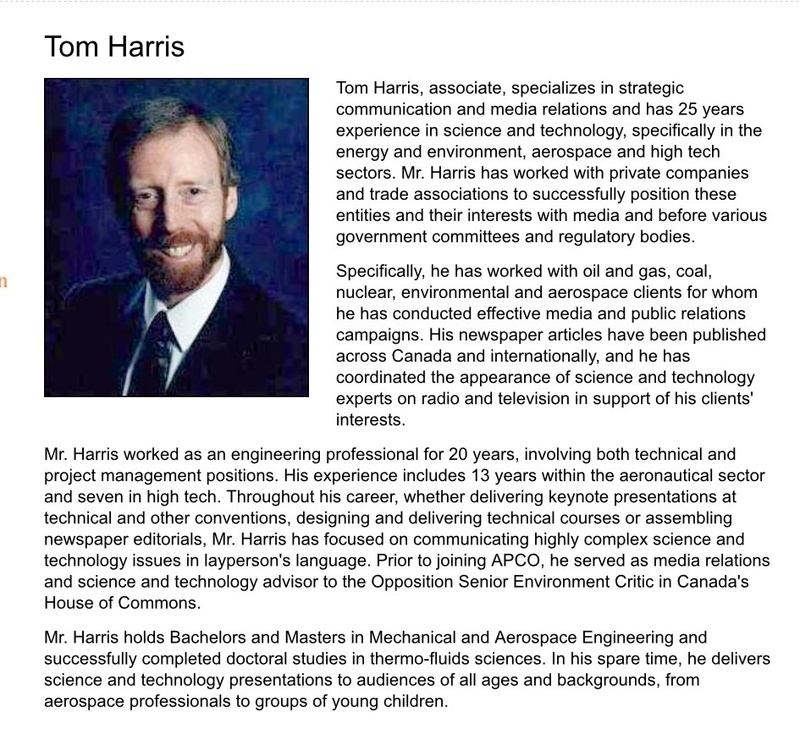 >> Noting that Tom Harris has no climate science credentials whatsoever. Hasn’t published any climate science. None. Ever. And Tim Ball hasn’t published any peer-reviewed science in at least 25 years. And their position on climate change is diametrically opposed to the positions of virtually every US and international scientific academy including NASA, National Academy of Sciences, American Meteorological Society, NOAA, British Atmospheric Data Centre, Environment Canada, IPCC and the American Geophysical Union. Why should we believe these ignoble disinformation professionals? Your ad hom attack refutes nothing in what Ball & Harris said. The doctored image of the May 2014 Scientific American magazine cover is such an appropriate image for this article. Fraudulent, manufactured rubbish just like Ball and Harris’ writing. You believers in climate alarmism are so good at making baseless, evidence-free claims, which why your religion should be called claimit science. You are just defending your CO2 climate religion “with jihidist zeal” as Dr. Lindzen pointed out you climate alarmists do, and it should be noted that you were unable to quote a single thing that Ball & Harris said and show that it was incorrect. Dr. Tim Ball was not a “former climatology professor at the University of Winnipeg in Manitoba.” Dr. Ball was a geography professor. His only contribution to climate science was handful of papers mostly on the historical weather records of the Hudson Bay Corporation mostly published in the 1980’s. Dr. Ball has a history of misstating his resume. Tom Harris is a political partisan who promotes coal and deregulation of coal. Mr. Harris wrote the United States should withdrawal from international climate agreements because “(President) Trump needs to Democrat-proof his agenda” and “Actions that significantly reduce CO2 emissions would entail dramatically cutting back on the use of coal…” 5/8/2017 Daily Caller. You’ve got it reversed. You promoters of climate alarmism are the hoaxers, fraudster, scammers, peddling pseudoscience that is not supported by real world empirical data. There isn’t a peer reviewed paper in existence that empirically shows that anthropogenic CO2 has been the primary cause of the late 20th century warming, like your climate alarmism religion claims. Neither is there any peer reviewed paper the empirically shows that natural climate change isn’t the primary cause of the late 20th century warming. Your hypothesis lacks empirical science support. The empirical evidence shows that CO2 is an insignificant factor in causing climate warming. The 1975 NAS ‘Understanding Climatic Change’ shows that temperature increase by ~0.7C from 1880-1940. Humans added ~150 billion tons of CO2 to the atmosphere during that period. Clear empirical evidence that CO2 is an insignificant cause of climate warming. During the decade of the 1970s humans added ~170 billion tons of CO2 to the atmosphere and temperatures barely changed, http://www.woodfortrees.org/plot/hadcrut3gl/from:1970/to:1979/plot/hadcrut3gl/from:1970/to:1979/trend . More empirical evidence that CO2 isn’t a significant driver of climate warming. During the last two decades of the 20th century humans added ~460 billion tons of CO2 to the atmosphere and temperature increased by ~0.3C, http://www.woodfortrees.org/plot/uah6/from:1980/to:2001/plot/uah6/from:1980/to:2001/trend . And peer reviewed science shows that during those decades natural climate forcing (more solar radiation reaching the earth’s surface) increased by ~10 times more than CO2 forcing increased, so again the data doesn’t support that CO2 was the primary cause of that warming either. And over the 21st century up to the point of the natural warming from the 2015-2016 El Nino, humans have added ~450 billion tons of CO2 to the atmosphere, which was ~1/3rd of all the human CO2 ever produced to that point, and temperatures didn’t increase at all: http://www.woodfortrees.org/plot/uah6/from:2001/to:2015.3/plot/uah6/from:2001/to:2015.3/trend . Yet more empirical evidence that CO2 is an insignificant factor in causing climate warming. So the alarmist talking point ‘CO2 is the earth’s thermostat’ and that humans are now the primary cause of climate warming fails the real world empirical data test. The empirical science doesn’t support it. 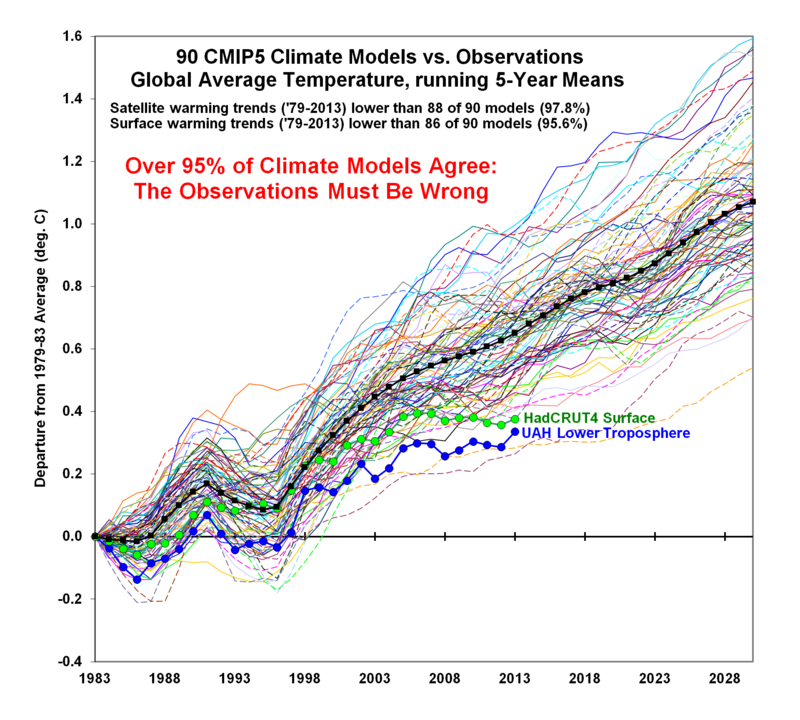 Climate alarmism is based on flawed, faulty, falsified, failed climate models, 95% of which predict too much warming, http://www.drroyspencer.com/wp-content/uploads/CMIP5-90-models-global-Tsfc-vs-obs-thru-2013.png , and which can’t predict future global temperature at even the 2% confidence level: “we find that the continued warming stagnation of fifteen years, 1998-2012, is no longer consistent with model projections even at the 2% confidence level” – vonStorch(2013). There’s lot’s of other real world evidence that CO2 has not been a significant factor in causing climate warming, such as the fact that the highest recorded temperature at an official measuring station occurred in 1913 . 95% of all the human CO2 ever produced, 1.5 trillion tons worth, has been added to the atmosphere since 1913, and it hasn’t caused a higher temperature to be recorded at any temperature measuring station on the face of the planet. More clear empirical evidence that CO2 is an insignificant factor in causing climate warming. Mr. Ball and Mr. Harris are prostitutes. They’re paid by the fossil fuel industry to lie about the dangerous nature of fossil fuel. …and they’re in the right place, because the entire website is a fossil-funded propaganda outlet. Any reason you continuously call others prostitutes? Are you looking for a second career? Yes… because they are prostitutes. They are on the payroll of the industry they are lying about. This is not too difficult to understand, right? If funding source is a matter of concern then what should we say about the numerous studies that were funded by the federal government during the Obama years when AGW was an administration mantra? This line of attack impunes the integrity of the researchers without any basis in fact which smacks of McCarthyism. Rather than attacking the integrity of researchers based on funding source it would be much more fruitful to objectively critique the research and thereby contribute to the science and takes the discussion out of the belief system realm. Are you sure you meant the Obama administration and not the Pierce administration? The wacky Global Warming fanatics are out in force today. That’s why there’s no rational discussion with members of your climate alarmist religion, because you resort to Holocaust-tarring “denier” name calling when climate realists ask simple questions such as: “Cite one peer reviewed paper that empirically shows that anthropogenic CO2 has been the primary cause of the late 20th century warming.”. Your inability to provide empirical science evokes anger and results in name calling, logically fallacious arguments, and general handwaving in order to distract from the fact that you have no answers. “Future generations will wonder in bemused amazement that the early 21st century’s developed world went into hysterical panic over a globally averaged temperature increase of a few tenths of a degree, and, on the basis of gross exaggerations of highly uncertain computer projections combined into implausible chains of inference, proceeded to contemplate a roll-back of the industrial age.” – Dr. Richard Lindzen – Massachusetts Institute of Technology Professor of Atmospheric Science. Your quotes from Dr. Lindzen are no excuse for name-calling. Your lie that I have called names just exposes your dishonesty. Just because you are angry and can’t face the reality that you aren’t doing science, and you are doing religion is no excuse for lying. Sad. Note that Dave James is avoiding any rational discussion by using the logical fallacy of fabricating a strawman, claiming that I called HIM a religion alarmist, when I did no such thing, as my comment clearly was a factual generalization “members of your climate alarmist religion”. I never said all members. I never said “you”, referring to David James. In context, my “you” was plural for the generalization of members of his climate alarmist religion. He dishonestly feigns that he has been insulted in order to accomplish a handwaving distraction in order to avoid having a rational discussion about the climate facts in my reply to his first comment on this article. He avoids at all costs discussing the science that I presented which clearly shows using real world empirical data that CO2 is obviously not the primary driver of climate warming as his climate alarmism cult religion claims. Distraction like this is common among members of his climate alarmism religion, as their dogmas/beliefs can’t stand the scrutiny of empirical science and data. Their religion is built upon flawed, faulty, falsified, failed climate models, 95% of which predict too much warming, http://www.drroyspencer.com/wp-content/uploads/CMIP5-90-models-global-Tsfc-vs-obs-thru-2013.png , and which can’t project future global temperature at even the 2% confidence level: “we find that the continued warming stagnation of fifteen years, 1998-2012, is no longer consistent with model projections even at the 2% confidence level” – vonStorch(2013). And I would note that his warming stagnation continued for 2+ more years, only ending with natural warming caused by the 2015-2016 El Nino, which was a release of stored solar energy from the ocean to the atmosphere. Hypocrisy is also a common trait among members of the climate alarmism religion. Their antics make it appear that they use Alinsky’s rules for radicals as their playbook to accomplish their political agenda. And if the overly sensitive James takes exception to his being part of a climate religion, his beef is with Dr. Lindzen, Dr. Happer & Dr. Ivaer, for I quoted them who pointed that out. It’s obvious to me that Dave James’ logical fallacies, dodging the discussion of science and ad hom attacks against Dr. Ball and Mr. Harris is because he is extremely frustarated and angry because his cherished climate alarmist belief system is being exposed as rubbish pseudoscience by Mother Nature, as the real world data shows the alarmist claims that ‘CO2 is the thermostat that controls the earth’s temperature like Andrew Dresser falsely claims, is pure nonsensical rubbish. RealOldOne2 does not know the difference between name-calling and rational discussion. RealOldOne2 claims his comment “That’s why there’s no rational discussion with members of your climate alarmist religion” is a “factual generalization” but RealOldOne2 has no understanding of my religious beliefs and calling someone an alarmist is derogatory. Dave James continues to lie and claim that I called him names. Thus Dave James’ comments show that he is unable to be honest. And as I predicted, Dave James dodges and avoids discussion of science at all costs because he can’t support his climate cult (per Dr. Happer) beliefs with empirical science. Dave James’ total failure to address any of the climate science issues that I addressed in my previous comment and in my extensive comment to his first comment, shows that he has no interest in having a rational discussion about science, and shows that he is just trolling, attempting to get me angry and call him names. I don’t engage in that kind of childish behavior. I leave that to the angry climate alarmists who can’t support their cult-like beliefs with empirical science. I did read it. And Dr. Ball and Mr. Harris are correct when they state that the current popular groupthink CatastrophicAGW-by-CO2 climate alarmist movement IS “the biggest deception in history” and a “hoax being accepted in governments, industry boardrooms, schools and churches all across the world”. And I would add that it’s not just a deception and hoax, it’s a fraud and scam too, since it is based on corrupted and fraudulent data, and is bilking people and countries out of hundreds of billions of $ which will have no significant impact on changing the climate. That RealOldOne2 agrees with Dr. Ball and Mr. Harris that human caused climate change is hoax does not change the fact that Dr. Ball and Mr. Harris also make that claim in this op ed. RealOldOne2 does understand that “alarmist” has negative connotation and that his speculation about my religious beliefs are a personal attack. RealOldOne2 not only claims human caused climate change is a deception, hoax, fraud and scam, he also believes name calling is valid substitute for rational discussion. RealOldOne2’s reasoning is not sound. Notice Dave James’ total failure of logic with his non sequitur. Notice Dave James’ denial of reality that his climate belief system alarms the world about climate catastrophic and climate doom if humans do not curtail emissions of CO2. Notice Dave James’ continued dishonesty by lying again, saying that I have called him names as a substitute. He couldn’t be any more dishonest, because I have presented much rational discussion of science in my previous comments. And notice Dave James’ projection of his faults onto me, since it is Dave James who has totally failed to even attempt to have any rational discussion of science. He is using logical fallacies and dishonest statements to avoid having a rational discussion. This is because he knows that he can’t refute the science that I have presented which shows that CO2 is an insignificant factor in causing climate warming, and that the recent climate warming can be explained by solar activity. Dave James’ continued handwaving antics of distraction give evidence that he is becoming very angry and is melting down as he is making less and less sense. This demonstrates the level of intelligence of Dave James’ fellow members of his climate alarmist religion. Quite pathetic. 12,000 years ago, glaciers covered the North American continent (so say some scientists who study these matters). Short while later, these immense sheets of ice receded, thus forming what today are called the “Five Great Lakes” in continental North America (Lake Erie, Huron, etc.). Was this from CO 2, as well? Ice sheets melting in Artic are a result of land ice mass being extremely small while sea water ice is extensive (in Winter months and recedes in summer months). Antartic ice formation is just the opposite…a large land mass, small sea water ice mass…thus less loss of ice sheet formation. But Climate Change Guru’s (touting Carbon Exchange Commission…a redistribution of income scam) won’t state these facts. Pray. Amen. God Bless America and All Americans. Read A Bible. NKJV Psalm 128. For real FACTS study “Anthropic Constants” (all 144 of them).